Why are more and more communities are moving to online property tax auctions? Because it opens the sale to people all over the world. The more people who attend an auction, the more the local community can get from the sale. By taking the sale online, the sale truly becomes public as this allows anyone in the world with an Internet connection to bid. Emmetsburg, IO, is one of those communities that has switched to online auctions. Palo Alto County Treasurer Robin Jamison discussed the decision in an Emmetsburg Reporter/Democrat news article. “If a person wants to bid, they have to sign up prior to the auction, and then they can bid on a parcel in the amount of the unpaid taxes. If there are two bids, the computer will randomly select the winning bidder. We were told about this method at the Treasurer’s School and a lot of counties are using this method,” she said. • Search Google news using the keywords “online property tax sale.” This will give you the most recent news about these kinds of sales. You will find news stories about sales that just happened and how much was collected. You’ll also see stories about upcoming sales. • Contact tax offices in various counties to find out what kind of sale they have and when these sales are held. They may not be able to tell you the exact date of the next sale, but they should be able to give you an idea. • Search each state’s Department of Revenue for information about such sales. California lets local tax officials decide how to have their sales. Some do online, some do in person. Some require auction registration, some don’t. • Look for a Public Notice for each state. Property tax sales are advertised in the local newspaper, but they are increasingly listed in a statewide public notice website. Nebraska, for example, has Nebraska Public Notices operated by the Nebraska Press Association. The press association in each state commonly offers this no-charge service to the public. The public notice website lists current sales and notices for past sales. It’s not going to tell when future sales will be held. You’ll have to check back regularly or set up an alert, if available, through the website. The Emmtsburg newspaper notes the sale there requires registration. Reporter Dan Voigt wrote, “Bidders must go to the Iowa County Treasurer’s website in order to register. There is a fee to register for bidding.” While the fee may or may not be a requirement for an online tax auction elsewhere, registration is required for online tax auctions. • Buying more than $10,000 in liens. New Orleans began an online tax sale system in March 2015. This program requires a $650 “earnest-money deposit” for each property to be auctioned. Once that is paid, by anyone, the property is available to be added to the auction. If the person who posted the $650 doesn’t buy that lien, the money is refunded. The person who did buy the lien must add $650 to his bid. Plumas County, CA, does not require a registration fee, but bidders must still register. • Will follow-through on a winning bid. If you have ever attempted to sell something online through Facebook forums, eBay or other sales websites, you know the aggravation of someone saying “I want that” and setting up a way to pay for it, but then not completing the sale. Tax collectors are not willing to put up with nonsense like that. Taxes are serious business and communities need that revenue to offer services to the citizens. The local tax office can tell you what the registration fee is and when it has to be paid. When you win a sale, pay for it. In Louisiana, the Jefferson Parish tax office conducts online sales. The website says, “Only payment by electronic check will be accepted.” Increasingly, online auctions are moving to an immediate or near-immediate payment method from people who are not physically present. Electronic checks and wiring the money are the preferred methods with the electronic check being most common. Broward County, FL allows 48 hours to pay for the winning bid at a tax lien certificate auction through the Automated Clearing House network. If the tax office is close enough to reach in a short amount of time, you may be able to drive over and pay for it in person. If the auction requires immediate payment, like an electronic check, this may not be possible. Several counties require deposits with a bidder registration. If you buy something in the auction and don’t pay for it, the tax office keeps your deposit and may even take legal action against you. To be sure, you’re not likely to be allowed to bid on any more auctions in that municipality. If you don’t win the auction, deposits can be returned. Buying property tax lien certificates and deeds online takes just a little bit more than attending an auction in person, but it is not difficult. If you can use a web browser and can send money online, you can do it. The world of property tax investing is a lucrative investment field and has plenty of room for more people. What are you waiting for? Ted Thomas is a Florida-based author and publisher, who specializes in tax defaulted properties. Visitors to his website, TedThomas.com, will find 4 must see FREE instructional videos. No credit card required. The video lessons will give you everything you ever wanted to learn about government tax defaulted real estate, which is sold at public auctions for a starting bid of back taxes, and you can buy property for 10 cents to 20 cents on the dollar. 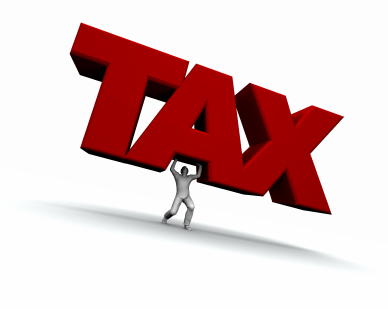 You will also learn the secrets of tax lien certificates which pay guaranteed returns of 16%, 18%, up to 36%. Go to TedThomas.com for more information.